Boston got Buford and catcher Jim Leyritz in the 1997 trade with Texas for Aaron Sele. 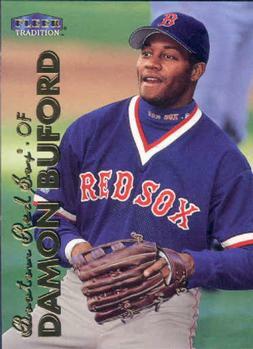 Buford impressed Boston fans his first season, hitting .282 and smacking 10 home runs in just 86 games. But he slumped to .242 the following year and was then traded to the Cubs for Manny Alexander. Buford was born on this date in 1970, in Baltimore, where his Dad Don was an outfielder for the Orioles.